The Parkers Prairie community offers many opportunities for recreation and leisure. Two city parks offer softball fields, sand volleyball, horseshoe pits, picnic tables, shelters, playground equipment and a community swimming pool and bathhouse. A summer recreation program is offered with basketball, softball, tee-ball, baseball, volleyball, tennis and swimming lessons. 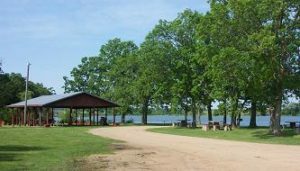 An out of town park site on the shores of Lake Adley offers a shaded, peaceful area for a picnic or a walk through the park’s natural area along with playground equipment, picnic shelter, rest rooms and a dock for fishing or launching boats. The City Park is also home to the Case Steamer which was delivered to Parkers Prairie in 1903 and has become a symbol of Parkers Prairie’s rich agricultural history. The Douglas County Area Trail Association is linked to Parkers Prairie and offers miles of snowmobiling winter fun. Four golf courses, a mini golf course and dozens of lakes are within ten miles of Parkers Prairie. For the hunters there are hundreds of acres of state land surrounding Parkers Prairie.